7.30pm start: Next night is March 19th. 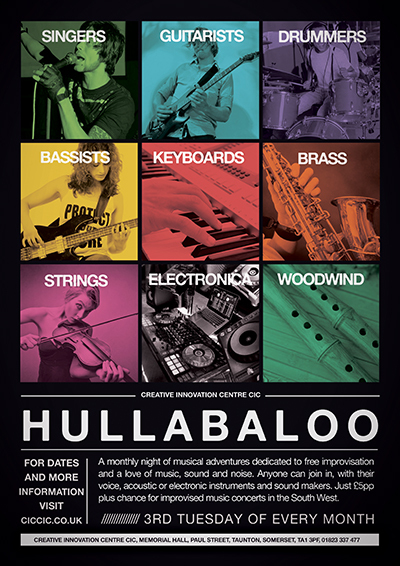 Hullabaloo is a night of musical adventure, an improvising orchestra open to all instrumentalists, singers and sound explorers, you just need a sense of sonic adventure to join in. We use games, strategies and exercises to develop our ears and musical imaginations, creating music that grows and changes and playing with the joy and possibilities of improvisation. The sessions are led by Tim Hill. 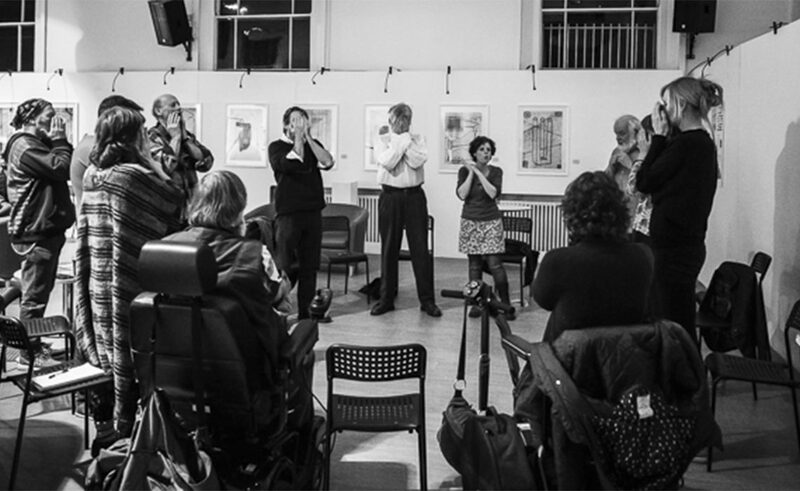 The group has been meeting for two years and has over 20 regular members, from viola to electronics, brass to singers. We are building to another festival in November, and performances and collaborations with visual artists, filmmakers and poets. We ask for a £5 donation to cover costs. Creative Innovation Centre CIC, Memorial Hall, Paul Street, Taunton, Somerset, TA1 3PF, is conveniently located in Taunton Town Cente with a multi-storey car park just metres away and another single storey car park just 2 minutes away. Marks & Spencer’s car park is next door to us but can get busy. We have our own cafe bar and sell refreshments to help support fund raising for our Community Interest Company.